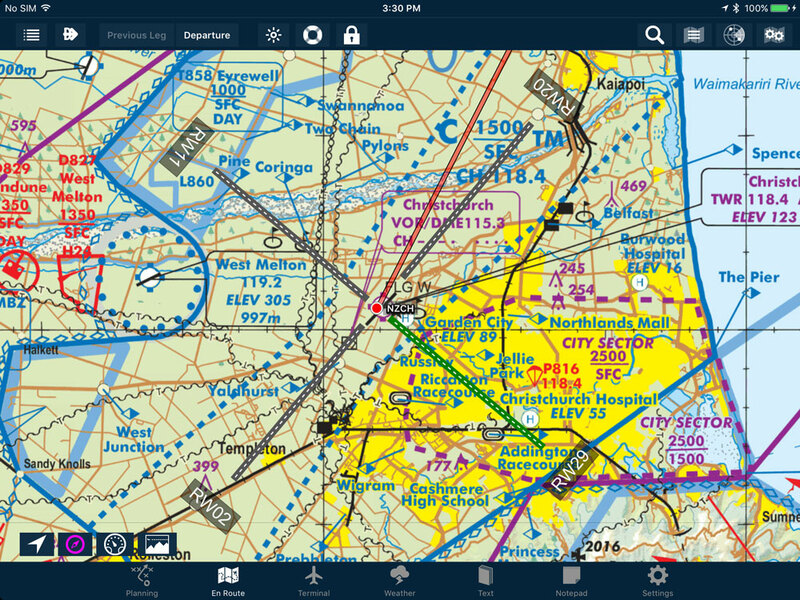 AvPlan EFB for iOS now includes stadium TFRs (as well as other published TFRs). TFRs which will be active in the coming days will be yellow, and ones which will be active within the hour, or are active, are red. 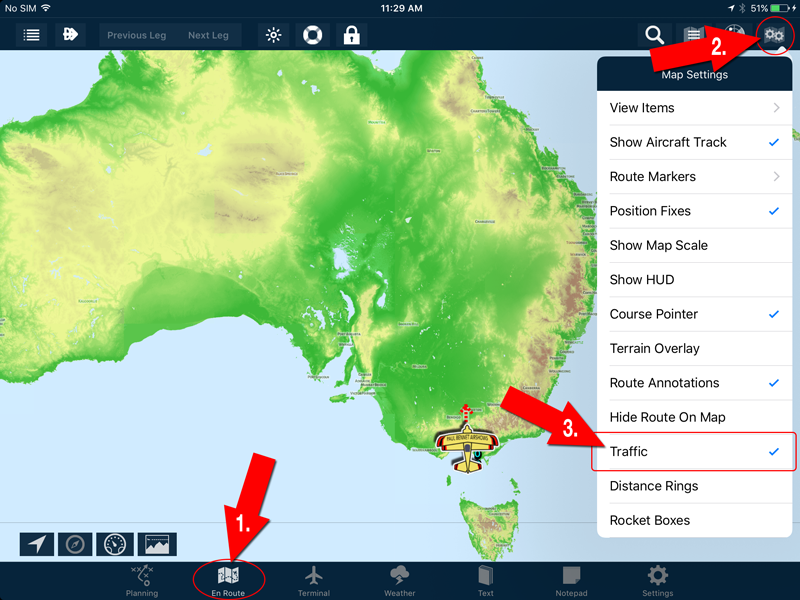 See other AvPlan Live enabled users right on your map – no special equipment needed! AvPlan Live uses your internet connected device to send your position to our server every 15 seconds. The server then sends back the current positions of other AvPlan Live enabled users and they can be displayed directly on any map. Turn on AvPlan Live: Tap Settings > User Settings and ensure AvPlan Live is ticked. Enable visibility of the traffic on the map. Tap EnRoute > Map Settings (two cogs icon) and ensure that Traffic is ticked. 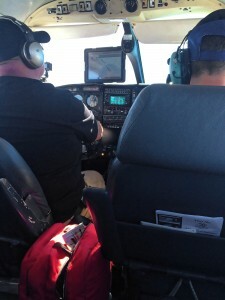 When you’re in flight, you’ll also see a traffic target following along with you (see below). That’s not someone trying to shadow you, rather it’s your confirmation that you’re successfully sending out your position to the system, and therefore others can see you. You must be travelling above taxiing speed and higher than 100 feet AGL. 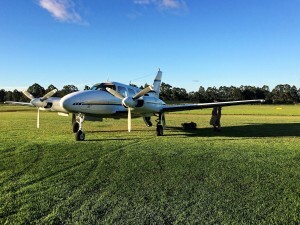 Your location won’t be broadcast while you’re in the Aero Club having a cup of tea, or at home on the couch! However, even while stationary you’ll continue to see other airborne traffic. Note that this is a situational awareness tool only, and as it is using the wireless data networks it must not be relied upon. 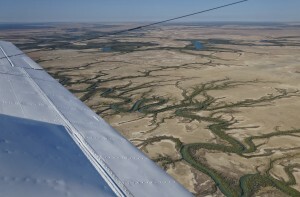 Aircraft who lose connectivity to data may not be displayed for a time until connectivity is re-established. Bearing that in mind, AvPlan Live traffic can serve as a great extension to your situational awareness. The more users that enable this feature, the more traffic we’ll be able to see as we fly around. Turn it on and see for yourself! Things are starting to really heat up for those flying down in the Southern Hemisphere. However, it doesn’t just take the Summer season for things to get hot in the cockpit. On a clear sunny day, it doesn’t take long for a bubble-canopy-type aircraft to become a human terrarium. Firstly, iPads radiate much of their heat out of the back panel (the one with the big Apple logo on it). 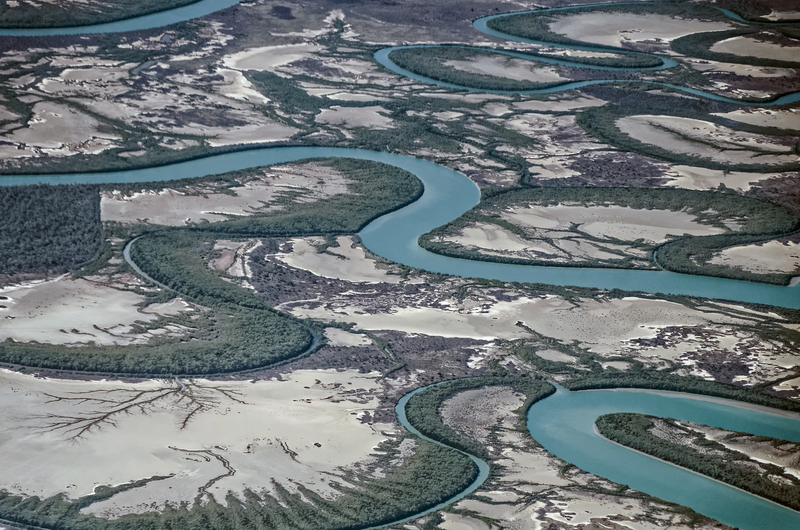 If you are able to free this as much as possible so air can flow around it, that’s good. If you can direct fresh air on to it from a duct or two, even better! Secondly, if you land somewhere and stop in for a cool refreshing beverage, do not leave your iPad up on the glare shield. It’s very tempting to pop it up there while getting out of the aircraft, but only a few minutes up there will turn your iPad to the electronic equivalent of well-done steak! 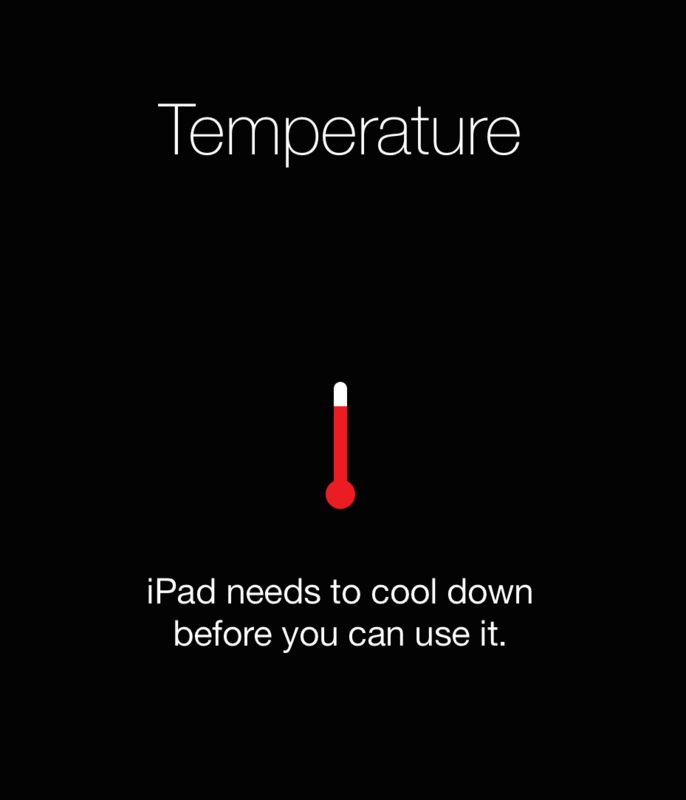 Always take care about where you store the iPad so it’s well out of the sun. 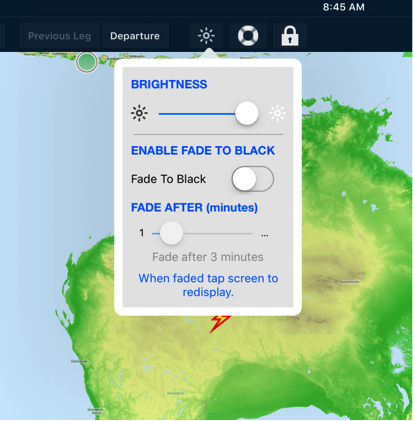 Next, you may wish to consider using AvPlan EFB’s relatively new Fade to Black feature – where you set a pre-determined time for the screen to dim after inactivity (such as touching the screen). The screen and backlight are turned off during this time, thus reducing some of the internal heat produced. In bright sunlight, the backlight is generally automatically bumped up by the operating system to its maximum brightness level. To enable this feature, tap the Sun icon at the top of any of the En Route, Terminal, Weather, Text or Notepad pages. Tap the switch (it will highlight green to indicate it’s on) and then move the lower slider to select the desired time interval. If you wish to view the screen once it has faded to black, simply tap the screen a single time to return it to normal mode. The screen will fade back to black once again when the screen is untouched for the specified time. Whilst the screen is faded to black, the application is still in the foreground and remains fully functional. Track logging, AvPlan Live output, aural warnings, are all still active. This is in contrast either to closing the smart cover, pressing the sleep/wake button or backgrounding the app (i.e. pressing the Home button). Also, one secondary advantage of Fade to Black is that it can also reduce the drain on the iPad’s battery. Finally, if you have done all you can to prevent an overheat situation and it still occurs – simply grab your backup iPad, open it up, select the correct flight plan (the flight plan should have been synced though our cloud service) and continue on like nothing has happened. Remember: we encourage everyone to have a backup device (or even two), so your subscription covers up to three of your devices. These very handy little lines can be displayed on the map for your planned departure and arrival airports. 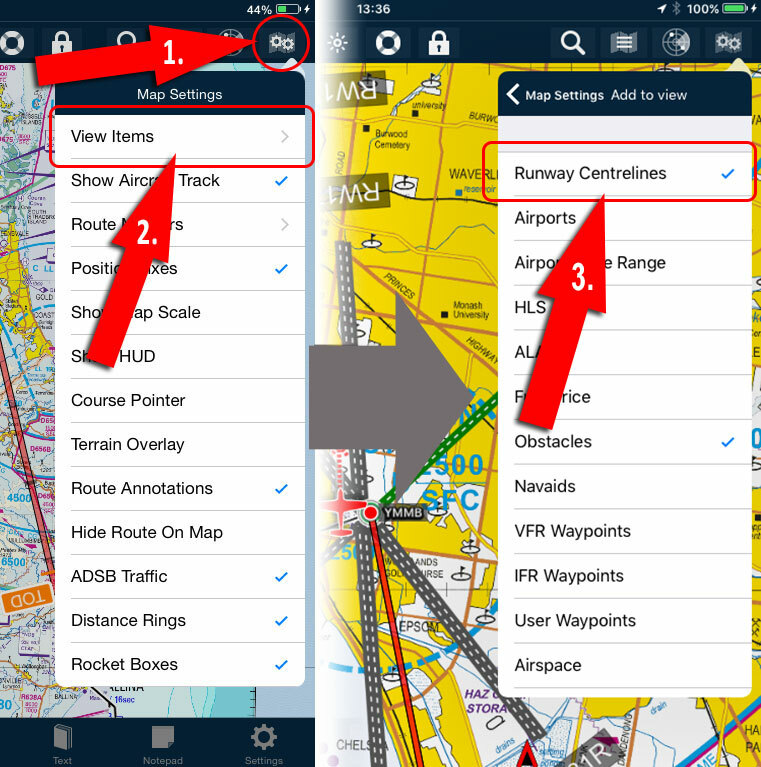 Tap the Map Settings button (two cogs icon, top right of En Route screen) > View Items and select Runway Centrelines. These extensions project out the centreline exactly five nautical miles from each threshold, with a label outlining the runway name. These are able to be displayed on any type of map. Why is one runway green? 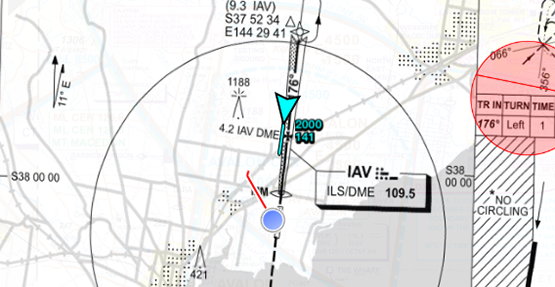 Airports that also feature a METAR station on the grounds, have the added bonus of highlighting the most into wind runway. 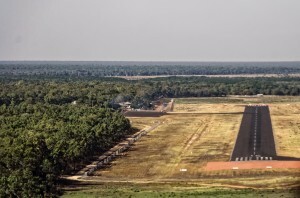 Note, however that this is NOT necessarily the duty runway at an airport (controlled or otherwise). 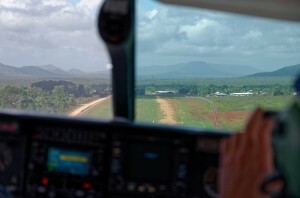 For operational reasons ATC or local traffic may use a different runway. How come it only appears for some airports? 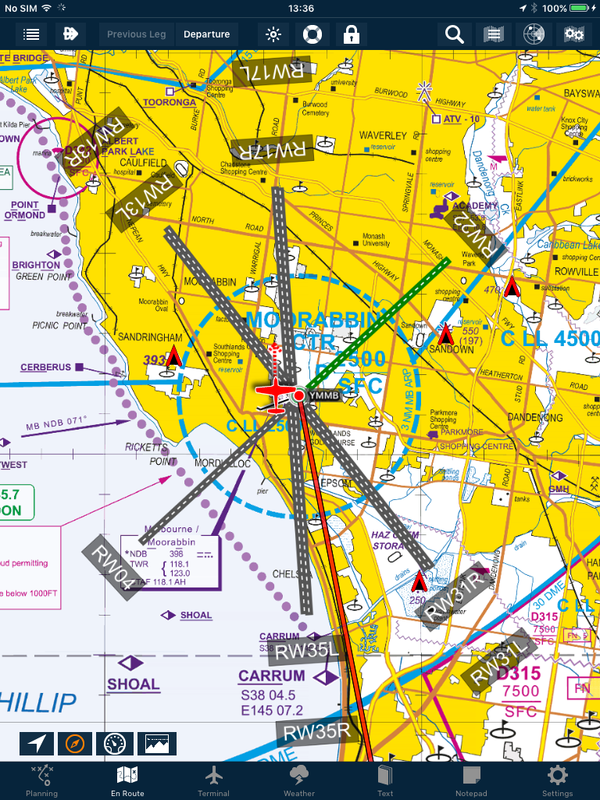 Not all airports in our NavData database contain encoded runway length/alignment information. Certified, Military and Registered airports, will generally have this data. Most ALAs, for example, don’t have the necessary information (however, there are a couple of exceptions for larger ALAs). 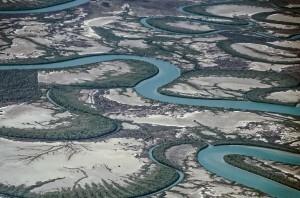 In New Zealand, all known paved runways will display the extensions. 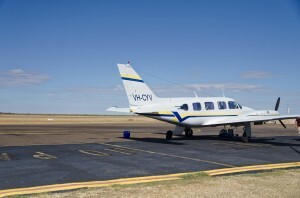 Private airstrips will not display the extensions. I’ve turned it on, but they still aren’t showing! Runway Centrelines is turned on (see above). You have a flight plan open and it contains one or more airports. The airport you’re looking at is designated as either a takeoff or landing point – runways for intermediate turning point airports (i.e. that you overfly) will not be displayed. So, turn them on for your next flight plan. They’re great for building a mental picture of what the traffic pattern may look like when you arrive at an airport! We’ve just had word from the supplier of the Clarity that this product has been discontinued and is no longer for sale. 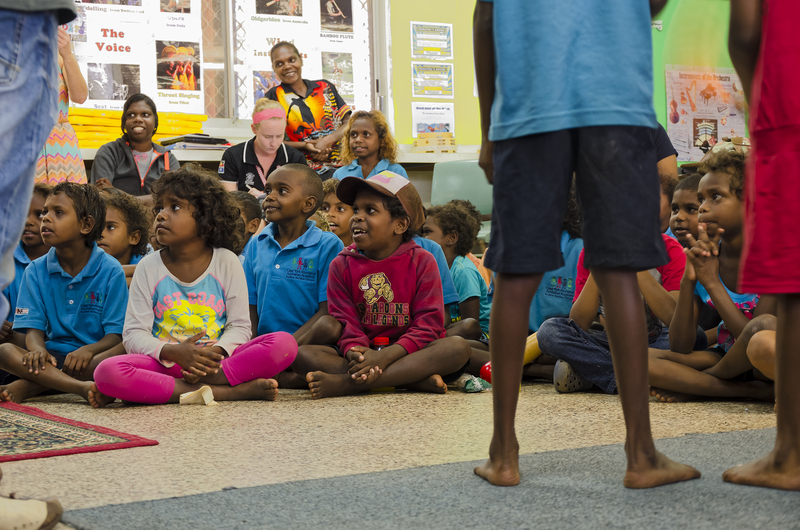 Although you cannot purchase a new device, we will continue to support those who have purchased this unit. We will have some other options for commercial portable ADSB units available in the near future.